The narrow Muthorai Road leads out of Ooty to the villages of Palada, Ithalar and Emerald, all surrounded by acres of cabbage and carrot, and further to an area called Red Hills. Take this road away from the clamour of Ooty to put the magic back into jaded Nilgiri holidays. For here, you’ll be transported back to the time of the British, with the landscape giving you enough evidence as to why they so loved the Blue Mountains. The forests here are magnificent and vast, the foliage dense, and the air crisp and pure. Lush, eye-soothing greenery covers whole areas right into the horizon. 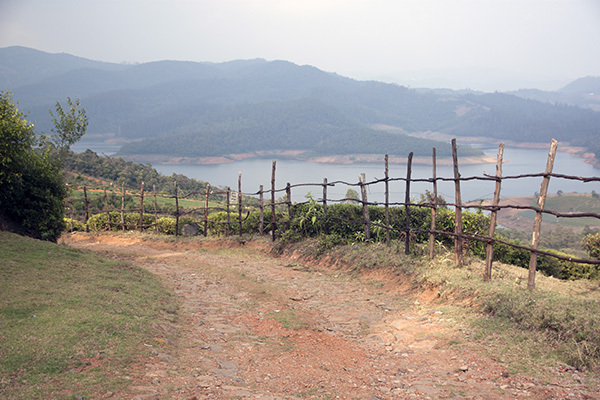 Red Hills offers a permanent guarantee of natural beauty, since no further development is possible under the law in the ecologically fragile area of the sensitive Upper Bhavani Sanctuary nearby. Ringed by an almost never-ending array of mountains clothed in olive green finery, Red Hills, so named by the British in remembrance of a similar area in England, is a place where you find a calming, soul-enriching tranquility.